Lakowe Lakes Golf and Country Estate is a gated community and golf course found half an hour outside of Lagos, Nigeria's largest city. Overlooking a man-made lake, it's located close enough to the city to be able to travel there with ease, as well as firmly enough in the countryside to have some peace and quiet when you're at home. If it's just golf you're after, there are a range of membership tiers which you can choose to purchase. The golf course is a sprawling 18-hole green, with a two-storey clubhouse located on its grounds. 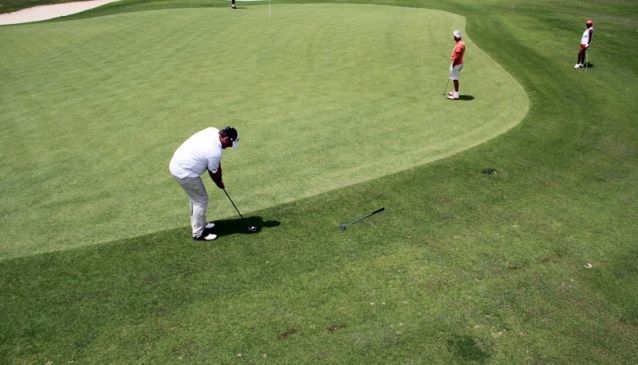 There is a golf academy on-site, where you can have fun honing your skills. Other than golf, a range of other leisure facilities are available, including squash, tennis and badminton courts, and a swimming pool. There are conference facilities on-site too, as well as an events centre, perfect for weddings or other special occasions with up to 1000 person capacity.